On May 10, 2016, the FDA published the final “deeming rule,” which extends the FDA’s tobacco product authority under the federal Food, Drug, and Cosmetic Act (FDCA) to all products meeting the statutory definition of “tobacco product.” Up until now, the existing FDA statutes and rules have only addressed cigarettes, cigarette tobacco, roll-your-own tobacco, and smokeless tobacco. The new rules expand the term “tobacco products,” to include, among others, vaporizers, vape pens, hookah pens, electronic cigarettes, e-pipes, and all other ENDS (Electronic Nicotine Delivery Systems). Notably, manufacturers of components and parts of ENDS which are sold or distributed separately for consumer use – i.e. 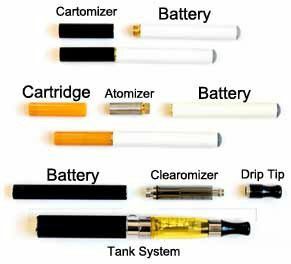 e-liquids, cartridges, atomizers, certain batteries, cartomizers and clearomizers, tank systems, drip tips, flavorings for ENDS, and programmable software – are subject FDA’s product authorities. Newly deemed “tobacco products” are now subject to the same premarket review provisions of Section 905(j) and 910 of the FDCA that govern currently regulated tobacco products, meaning that manufacturers of newly deemed products will be required to obtain premarket authorization through one of three premarket pathways: SE Exemption Requests; SE Reports; or Premarket Tobacco Product Applications (PMTAs). Because the “grandfather date” of February 15, 2007 still stands, and most e-cigarette and vapor products were commercially marketed after the grandfather date, the deeming rule effectively mandates that these products will be subject to the PTMA review process. Submission of a PMTA will cost between $117,000 to $466,000, as indicated by the FDA. However, industry experts suggest the FDA is underestimating costs and have placed the figure at well over $1 million. 1. How will the new FDA regulations affect the cannabis industry? Although the FDA has thus far limited its contact with the cannabis industry, the new rules may indirectly apply to cannabis products because of the dual-use nature of many “tobacco products” – such as vape pens that can be used for either tobacco/nicotine-derivatives or cannabis-derivatives. A key phrase the FDA uses in defining a “tobacco product” in its Deeming Rule is whether the product is “intended or reasonably expected to be” used for human consumption of a tobacco product or alter or affect a tobacco product. This “intended or reasonably expected to” language will likely have further reaching effects to the cannabis industry for a couple of reasons: (1) cannabis is still currently federally classified as a Schedule I drug; and as such, (2) most cannabis-related products have been marketed as for use with tobacco/nicotine. Please note that these new regulations are targeted at tobacco/nicotine products; therefore, they do not specifically address the FDA’s role in regulation of cannabis oil. For more information specifically about cannabis oil, please see Question 7. 2. Will the FDA regulations affect the importation (from other countries) of vaporizer components, parts, and accessories, i.e. vape cartridges, batteries, cartomizers, etc.? Therefore, with respect to our clients that import vape cartridges, batteries, cartomizers, etc. for use with cannabis, the FDA should not have the authority to regulate the importation of such components so long as the components are not sold separately to the customer and will be “sold or distributed solely for further manufacturing.” In other words, the FDA will only be regulating the importation of vape pens, cartridges, batteries, etc. that are sealed in final packaging and are ready for sale to a consumer. As explained in further detail below in (4), although FDA intends to work with the U.S. Customs and Border Protection (CBP) to ensure tobacco products that enter U.S. borders comply with applicable regulations, the FDA is ultimately responsible for determining whether an FDA-regulated article offered for importation into the United States is in compliance with the laws enforced by FDA. 3. There are new products (cartridges, batteries, vape pens) available on the market. Can I upgrade my current models to reflect those changes? Moving forward, the packaging, labeling and advertising of cannabis-related products with a conceivable dual purpose could be an important factor in determining whether the FDA will deem the product a “tobacco product” subject to the new rules. However, the industry faces a tricky dilemma as labeling a product “for use with cannabis only” is federally illegal, while labeling a product as “for use with tobacco” will cause it to be regulated as a tobacco product. It is also conceivable that sometime in the near future, particularly if the federal government legalizes cannabis, the FDA will embark on similar rulemaking related to cannabis products. 4. How will the FDA enforce these regulations? Tobacco Marketing Surveillance: This surveillance would include monitoring and evaluating various sources of information, including: regulatory submissions made to the FDA, point-of-sale advertising and other promotional materials for tobacco products, internet promotional materials, and complaints. State Tobacco Retailer Compliance Check Inspection Program: The FDA will award contracts to State agencies to assist the FDA in inspecting retail establishments that sell cigarettes and/or smokeless tobacco products. These retail inspections will cover the age and identification (youth access) requirements, as well as requirements relating to tobacco product promotion and advertising. FDA may direct an inspection of a particular retailer if a complaint or report is received, including unlicensed establishments and non-traditional vendors. FDA Inspections of manufacturers and distributors: FDA plans to conduct inspections of manufacturers and distributors. If appropriate, inspections of manufacturers and distributors may be conducted by FDA in response to a complaint. Enforcement Tools: FDA has the authority to take enforcement action against violative tobacco products and against persons who violate the requirements established by the Tobacco Control Act and applicable regulations. FDA may utilize several enforcement tools, including but not limited to, the following: warning Letters, civil money penalties, no-tobacco-sale orders, seizures, injunctions, and/or criminal prosecutions. 5. Do I need to apply for a PMTA to continue manufacturing vape components, such as oil, cartridges, batteries, cartomizers, etc.? As discussed above, manufacturers of “tobacco products” will have a 2-3 year compliance period to apply for and receive a “tobacco marketing order,” and any new product not on the market as of August 8, 2016, is not covered by the compliance policy and is subject to enforcement if marketed without premarket authorization. Moreover, the FDA will likely view cannabis vaporizers and its components as a “tobacco products” because they can “reasonably expected to be” used for human consumption of a tobacco product. However, with respect to the entire cannabis vape delivery system (without the oil), our clients may be interested in applying for an “Open Aerosolizing Apparatus” PMTA (without e-liquid and including components and parts). If the PTMA is approved by the FDA, our clients would be able to continue producing their cannabis vaporizers (without cannabis oil) and sell/distribute them to licensees, retailers, and customers even after the 2-3 year compliance period. 6. I am interested in applying for an “Open Aerosolizing Apparatus” PMTA for my entire cannabis delivery system (without the cannabis oil). What are my next steps? Register your establishment and submit a list of all tobacco products that are being manufactured for commercial distribution by December 31, 2016. For Steps 1-5, although mailing the Center for Tobacco Products (CTP) is permitted, the FDA recommends electronic submission via the FDA’s eSubmitter software to package documents and the CTP Portal to upload eSubmitter package. Heating source (e.g. heating coil, chemical reaction). FDA also recommends that your PMTA contain detailed aerosolizing apparatus schematics (e.g. CAD drawings) with dimensions, pictures, and labeling, accompanied by engineering design parameters. Finally, electrical safety should be discussed, and applicable standards to which conformance have been demonstrated should be identified. This discussion should include appropriate data (e.g. test protocol, data, results). Additionally, you should provide a description of all built-in electrical safety features. If the product contains a controller, you should list and discuss power management techniques used, such as pulse width modulation or direct current. Finally, with respect to applying for an “Open Aerosolizing Apparatus,” PMTA, our clients may wish to consider setting up a separate corporate entity that only manufactures the finished vaporizer (without the cannabis oil). The separate, parallel entity could then license the vaporizer back to the parent cannabis entity, as well to other companies/retailers/distributors. 7. I am unsure about applying for a PMTA. Can the FDA regulate the manufacturing of cannabis oil? It does not appear that the deeming rule has any direct effect on the current status quo of the regulatory environment surrounding the manufacturing of cannabis oils. According to the FDCA, an e-liquid is considered a “covered tobacco product” if it contains nicotine, tobacco, or any derivative of nicotine or tobacco. The FDA has intimated that in many instances it is reasonably expected that e-liquids, such as flavored liquids, will be combined with liquid nicotine, or other similar substances, prior to consumption and will therefore be regulated as components of tobacco products. However, it would be difficult to craft a credible argument that cannabis oil is reasonably expected to be consumed with a tobacco product. Accordingly, the deeming rule does not give the FDA any new or modified ability to regulate the manufacturing of cannabis oil. However, in recent years, the FDA has demonstrated that it maintains at least some ability to regulate cannabis oils, and most specifically cannabidiol (CBD). The FDA has concluded that selling products containing CBD as dietary supplements as well as the introduction of food containing CBD into interstate commerce constitute violations of the FDCA. In both 2015 and 2016 the FDA has sent “warning letters” to manufacturers for their improper marketing of products containing CBD. In short, the FDA has limited its “regulation” to companies that make inaccurate claims in labels or presenting human health risks. It is important to note, though, that to date the FDA has not shown a particularly large appetite for enforcement actions against cannabis oil manufacturers. When determining whether to initiate an enforcement action for a perceived violation of the FDCA, the FDA considers factors such as agency resources and the threat posed to public safety. In 2015, only 6 warning letters were sent by the FDA to CBD manufacturers, and 8 in 2016, and it is not apparent whether any further action was taken against any of the recipients. Further, the letters themselves only required that the recipient notify the FDA of the steps it intended to take to correct the alleged violations. The FDA’s use of the phrase “tobacco product” and its rationale for regulation based on the public health risk due to “highly addictive nicotine” establish that the rules do not directly affect cannabis-related products. However, the “intended or reasonably expected to” language could be the proverbial back door for the FDA to regulate cannabis-related products if there is a possibility of dual use with tobacco – such as with vape pens that can be used for either tobacco/nicotine-derivatives or cannabis-derivatives. In summation, we recommend that cannabis companies that manufacture vape pens, components, and parts to consumers refrain from introducing any new parts/models at this time. Furthermore, companies may wish to consider applying for an Open Aerosolizing Apparatus PTMA to continue the manufacture and sale of its vape pens (sans oil/cartridges) to consumers. With respect to cannabis oil only, the Deeming Rule does not give the FDA any new or modified ability to regulate its manufacturing. Nevertheless, it is also conceivable that sometime in the near future, particularly if the federal government legalizes cannabis, the FDA will embark on similar rulemaking related to cannabis products. FDA, Small Entity Compliance Guide: FDA Deems Certain Tobacco Products Subject to FDA Authority, Sales and Distribution Restrictions, and Health Warning Requirement’s for Packages and Advertisements (May 2016), at 17, available at http://www.fda.gov/TobaccoProducts/Labeling/RulesRegulationsGuidance/ucm499355.htm.